Looking for a great moisturizer for your hair and skin? Look in your kitchen — coconut oil does wonders for your skin and hair and is so light you won't even notice it on your skin. Sara Bumby is a beauty product expert at Certified F.A.B.U.L.O.U.S. Sara's favorite coconut oil is Spectrum Naturals Organic Refined Coconut Oil (Amazon, $32) because, "Spectrum is incredibly user-friendly and since it's refined, it has a nice smooth texture that's soft and malleable." 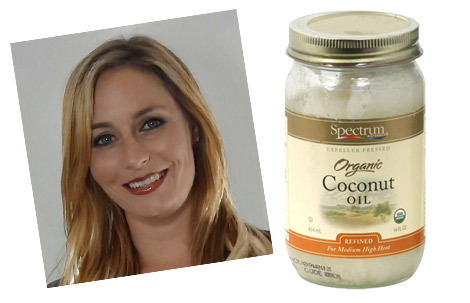 Sara's coconut oil tip is to use it to soothe sunburns! She says, "Use coconut oil instead of aloe vera on a sunburn. Unlike aloe vera, coconut oil doesn't contain film formers, so it won't leave your skin tight and dry like aloe vera will, instead it'll leave your skin healthy and soft!" 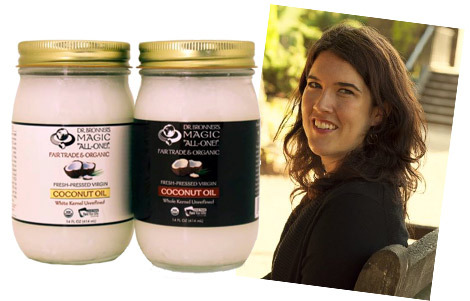 Natural beauty expert Amanda Cook loves Dr. Bronner's Fair Trade and Organic Coconut Oil (Whole Foods Market, $11) because, "All of the Dr. Bronner products are high quality and very natural. Plus, he's been doing natural since before it was trendy!" Amanda's coconut oil tip is to use it to make all-natural deodorant! She says, "I make Coconut Lime Deodorant with just four ingredients and no cooking — just stir coconut oil, arrow root powder, baking soda and essential oils together and you have an all-natural deodorant that really works!" 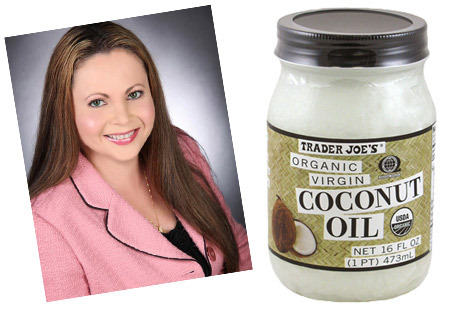 Julia Davis of Makeup Kitty loves Trader Joe's Organic Virgin Coconut Oil (Trader Joe's, $13) for its, "purity, consistency, value and reliable Trader Joe's quality!" Julia's coconut oil tip is to use it to moisturize cuticles! Julia says, "To moisturize your cuticles, simply hold your finger against the surface of solid coconut oil for a few seconds so it starts to melt. Then rub that finger over your cuticles. Repeat with the other hand." Makeup artist Meli Pennington writes the beauty blog Wild Beauty. She loves Spectrum Organic Coconut Oil (Amazon, $8) because, "it's unrefined and cold-pressed which preserves the nutrients." Meli's coconut oil tip is to use it as an eye makeup remover! 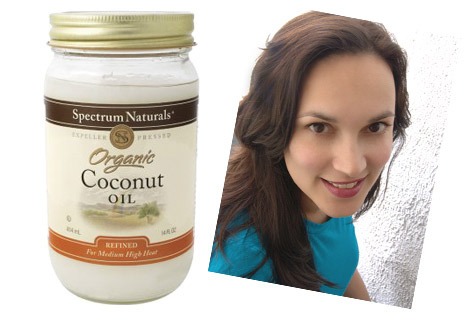 Meli says, "I keep a small jar of coconut oil in my bathroom. I dip a Q-tip into the oil and rub it into my lashes and lashline. Then I use warm water and my usual cleansing cream. The oil breaks down even waterproof mascara and gel eyeliners without stinging. Then the warm water and cleanser wash everything away!"